Any of your rhubarb-expertise in the garden can go a long way right about now. 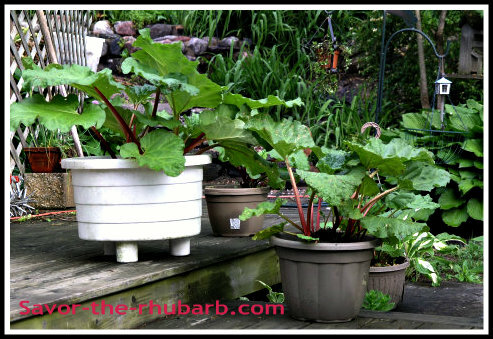 It's that time of year for many when some are scratching their heads wondering how to plan their garden beds, or are simply carrying on doing what they do best with their own best rhubarb gardening tips. Are you one of the lucky ones that have wonderful rhubarb produce every year? For me, it was hit and miss to start. Not enough sun, no drainage. Poor dirt, but great sun exposure, Wonderful soil for the rhubarb, but way too wet. So many variables to deal with and trying to get just the right mix to cover every possible "problem" category sometimes was hard to do. Some of the problems were extreme. 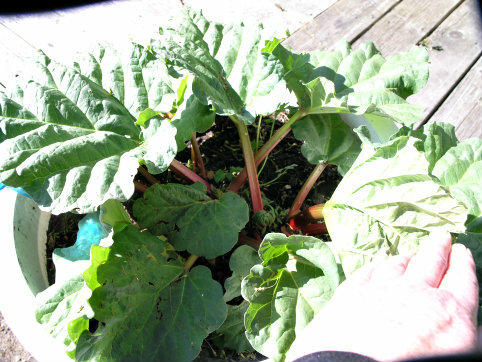 First-time rhubarb gardeners would love to know what has worked for you in your area and what hasn't. I know I sure found out the hard way what happens in an area that is too shady and wet, and I lost a lot of my own rhubarb because of it. Whether it's just getting started planting, or at harvest time, people have questions, and most of the time, they are related to where they live in different parts of the globe. DO YOU HAVE RHUBARB HELPFUL-HINTS YOU COULD PART WITH? Here is the opportunity to do just that. Give us the benefit of your knowledge. Any little bit, no matter how insignificant it may seem to you, will surely help out and inform someone else. 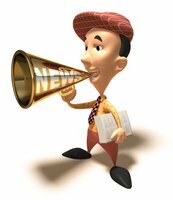 Non-gardening type articles related to rhubarb welcomed as well. We'll sift them out to appropriate categories. rhubarb varieties as opposed to others? and get better rhubarb garden results?